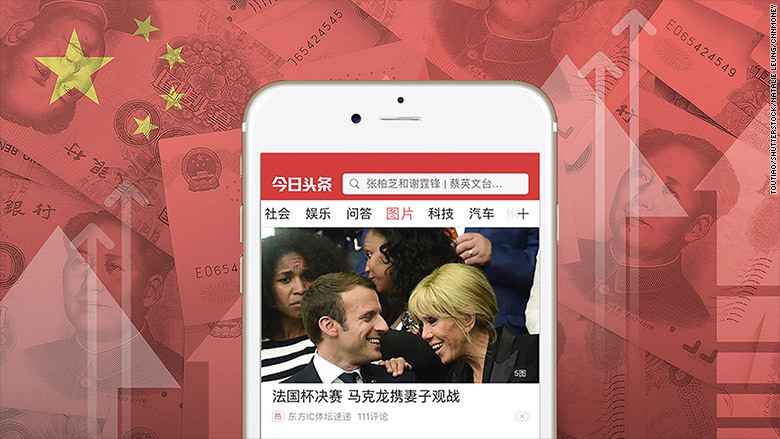 On Monday, local media reported that regulators had pulled Bytedance's most popular product, news app Toutiao, from Apple (AAPL) and Android app stores. Three similar apps from other companies were also yanked. The moves highlight China's heavy handed approach to regulating news and social media. US platforms including Facebook (FB), Twitter (TWTR) and Instagram are blocked in the country. Unlike many big Chinese tech startups, Bytedance isn't backed by one of the country's three giant internet companies: Alibaba (BABA), Baidu (BIDU) and Tencent (TCEHY).